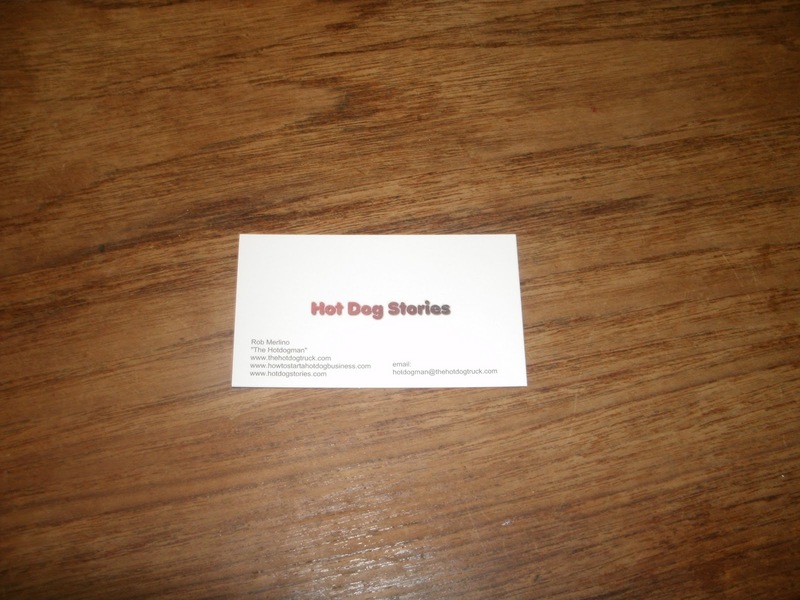 I travel to 2-3 hot dog joints a week to do write ups for my Hot Dog Stories site. Sometimes I take my kids with me, sometimes I bring my wife, sometimes I bring a friend and sometimes I go alone. No matter who is with me, I always end up chatting to the owner/operator and the patrons I encounter. I ask them all sorts of questions and tell them about Hot Dog Stories. The question I am invariably asked during these conversations is, "do you have a card?" Up until now, my answer has been, "uhm, no." Now I have a card and here it is! I got the cards from Vistaprint. I designed it myself online and it only cost me ten bucks for 1000 cards! It was so easy and quick, I would highly recommend Vistaprint to anyone who needs new business cards. They even have FREE BUSINESS CARDS! You can get 250 premium quality, color business cards FREE! Order some for yourself today. Click here. Now, when people ask for my card, I can say, "Sure! Here ya go."